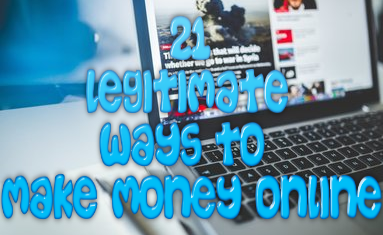 When I first heard of ClickBetter, it was due to a posting on an affiliate marketing forum that I am apart of where users were questioning its legality. So, of course I decided to looking into ClickBetter myself to see if it was a scam or not and I was actually quite surprised at what I found. Let’s jump right into my ClickBetter review to find out! Click Better is an online affiliate and vendor network where people selling digital products can place them into the marketplace and affiliate can in turn promote these products to claim a commission. ClickBetter works very similar to other online marketplaces such as Clickbank or Clicksure, but according to affiliates and vendors alike, this marketplace is much better than the rest. There are many different things that I actually didn’t like about ClickBetter. Here are just a few of those things. One of the things that I don’t like about ClickBetter is the fact that many programs and products listed as known scam products are listed on the marketplace. Some of the programs that you will find are known binary options scams and even a few affiliate marketing scams as well. What this means is that not only is ClickBetter promoting these scammy programs and products, but it tells me that the owners behind this marketplace only care about one thing: making money. They don’t care about the thousands of people that are going to get scammed in the process. After doing my research for this ClickBetter review the one thing that I found very questionable was the amount of complaints this site already has even though the marketplace itself is young. Check out some of the complaints left by people below. I have been working online since 2011 and since then the only way I receive payment is via Paypal. In fact, I am not the only affiliate out there to receive payments in this way. Most affiliates nowadays receive commission payments this way. 4. The only way to be paid by ClickBetter as of now is via a check, Bank Transfer or Direct Deposit. While it may not seem like a big deal, the fact that ClickBetter does not use Paypal is very questionable. While there are people who have no problem forking over the bank information, there are many other people who will have a problem with. Also, there is a high fee for bank transfer which many people are not willing to pay. What is even more questionable is the fact that they are unable to use Paypal. This may mean that the company itself is located outside of the US which Paypal will not support. Not only is it questionable, but it is a little on the fishy side if you ask me. While this program is supposed to be “free to sign up for”, upon signing up you will also be hit with a few upsells. Of course these are optional and you can choose not to go with them, but they do make the offers quite intriguing. A premium link tracking system to help you see what links are converting and what links need some tweaking. A premium sales funnel system that allows you to create a sales funnel for the programs and products you are promoting to maximize the amount of money you make in sales. ClickDrop is an online marketplace for those who struggle to drive premium traffic to their offers. The traffic that is promoted through this marketplace consists of solo ads and renting email lists from sellers. Price: $40 to $1000 depending on clicks and sellers. After carefully looking at ClickBetter and seeing how it works for myself for this honest ClickBetter review, this is a program that I can recommend to others, as long as you have no problem promoting scam offers. 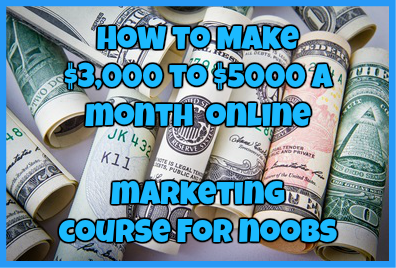 Unlike Clickbank and Clicksure this program does offer other programs that you can try to boost the amount of money you make in sales and even help you drive quality traffic to your offers. However, my main issue with this program comes from the fact that not only are there a ton of complaints about this program already considering the young age of the marketplace itself, but the fact that most of the programs and products you can promote are known scams. So, while this program is certainly legit, it is not one that I can recommend 100% especially for those who have a conscience of what programs and products they refer to others. Have you tried ClickBetter for yourself? How was your experience with it? Let me know in the comments below! They have already taken out $27.00 and $97.00 and I’ve got nothing. I’m disabled and really want this to work or I want my money back. I too have joined click better and found it to be a joke. The training is not training and is very poor quality. You have to pay for other tools one being for traffic and the minimum you could pay was $24.00 but you had to pay for an entire year. You weren’t given the opportunity to pay by month. I quickly got out and habe not revived my money back. Wow that is horrible. I hope you get your money back soon!